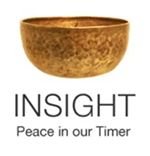 The Fourth Noble Truth is that The Noble Eightfold Path is the means to end suffering by developing Right View, Right Intention, Right Speech, Right Action, Right Livelihood, Right Effort, Right Mindfulness and Right Concentration. On our first encounter with the idea of there being ‘right’ views, speech, etc., we may bristle. We don’t want to be forced into a particular way of speaking or thinking. We want to speak authentically and think for ourselves. For me the single most powerful sentence the Buddha spoke, the one that drew me to Buddhist study in the first place, was “Be a lamp unto yourself.” (Before I ever undertook to study Buddhism, I had that quote on the back of my book, Tapping the Wisdom Within, A Guide to Joyous Living.) For me, this list of do’s and don’ts just didn’t jive with that statement. Since becoming a Buddhist practitioner it has been easy to just ignore the subject. There are so many rich veins of Buddhism to explore that even over the course of many years The Eightfold Path rarely came up in any dharma talks in weekly classes or retreats I attended. But then when the upper retreat hall and residences were built at Spirit Rock, they installed a beautiful hand-painted prayer wheel in the pedestrian entry gate. It is adorned with illustrations of the Eightfold Path. As you walk through, you take a handle — perhaps the one named ‘Right Effort’ — and spin the wheel. Then that focus of Right Effort (or whichever handle you took) stays with you as an intention. In my comings and goings, I always enjoy spinning the prayer wheel. I remember one day I was walking through, and I had a bit of an aha moment about the Eightfold Path. I recognized that I had resistance to being told what to do, but that in fact, these were not dictates that I must subscribe to or rules of behavior I have to live by, lest I fail to be a good Buddhist. Instead I could see them as useful guideposts, so that when I am suffering I can see them in the fog of my misery shining a helpful light to help me see the cause of my suffering. For example, say I am feeling oddly discomforted and don’t know why. I can mentally review the Eightfold Path to see if there is anything there to guide me. Say that on this occasion when I come upon Right Speech, and then I remember that the night before I had been talking about someone, telling a story that wasn’t mine to tell, and now I have this residual sense of ickiness, as if I truly have wandered into a sticky and stinky bog in my mind. But now I can see that by not adhering to Right Speech, I had wandered off the Eightfold Path. That guidepost sheds the light of awareness on my behavior and brings me back on the path. Each time I find my way back, I have learned something valuable. And though I will probably wander off the path many times in many ways, these guideposts help me return more quickly, so that my suffering is shortened as I develop the habit of looking to the guideposts for cues to my current discomfort. If a path sounds constricting, like a ‘straight and narrow’ path, the truth is that this path is incredibly spacious. For by staying on the path, we free ourselves to be fully present in every moment in an unencumbered way. And that is deep authentic connection indeed. Over the coming weeks we will explore the aspects of the Eightfold Path. Each is a facet of the same jewel of wisdom, and they are so deeply inter-related that insight in one aspect brings understanding in another. Together they have the capacity to enrich our lives, sweeten our relationships and deepen our practice. Yes, the Buddha told us to be lamps unto ourselves. But he also offered these guideposts to shed light on our path in order that we may brighten and strengthen our own inner light. This entry was posted in Be a Lamp Unto Yourself, Eightfold Path, Fourth Noble Truth, guidepost, http://schemas.google.com/blogger/2008/kind#post, Right Action, Right Concentration, Right Effort, Right Intention, Right Livelihood, Right Speech, Right View on January 7, 2009 by Stephanie Noble.